I refer to your article “New CPP-dominated Assembly sworn in” [Phnom Penh Post, September 25.] The recent swearing-in is a historical moment for Hun Sen’s political leadership – his way to premiership was smooth and democratically legitimised. Previously, his path to premiership had experienced some hardships. For instance, in 1993 he was the second prime minister with Prince Norodom Rannaridh as first prime minister; in 1998 there was the coup that allowed him to consolidate his sole premiership; in 2003 parliament was stalled for almost one year before his premiership was given to him again. I appreciate the fact that this 2008 assembly mandate has been smoothly, legally sworn in, and in particular the participation of the Sam Rainsy Party’s 26 representatives who endorse Hun Sen’s premiership for another five years as mandated. But the successful ascent to premiership through parliament does not warrant the level of centralisation in the executive branch. His government comprises far more high-ranking members than before, especially those from the dominant CPP party. The challenges ahead are daunting – such as ensuring national security. Key issues to address this mandate are security, illegal immigration, the high rate of corruption under the current system of crony capitalism, land price speculation leading to land grabs and the ongoing border dispute with Thailand. Security is a central claim for the next five years in power for Hun Sen. He says Cambodia in future decades will not worry about terrorism, civil war and social chaos. But the core issue of security here is not terrorism – it is food security, social equity security, democratic security and especially government officials who should be security-checked before being sworn in. Many countries have different methods of ensuring lawmakers meet certain security standards, such as checking the background of persons to ensure that they are not abusing their position and mandate in government to do harm to their country. This new approach of security should be amended by the parliament checking the background of any person who will be employed as military, police or state officials. Achieving this security clearance stabilises the government’s leaders as well as the whole nation. Crony capitalism has been widespread in Cambodia. After the civil war, the open horizon of market-based economics in Cambodia swiftly and horrendously embodied itself in a type of crony capitalism. 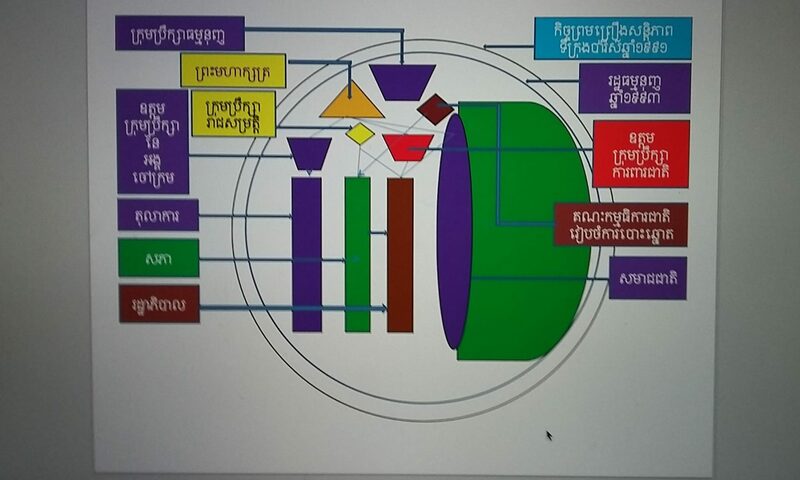 Cambodia has significantly evolved itself a “national crony capitalism”, which means all national economic mechanisms and dynamics are controlled by just a few businessmen. This kind of emergent economic trend will hinder the emergence of economic equity and will widens levels of inequality in the Kingdom.